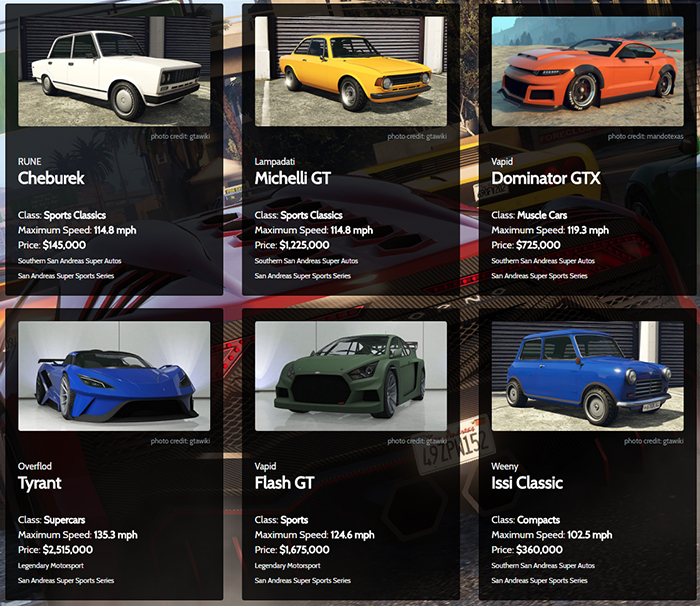 The most up to date website on GTA 5 vehicles! 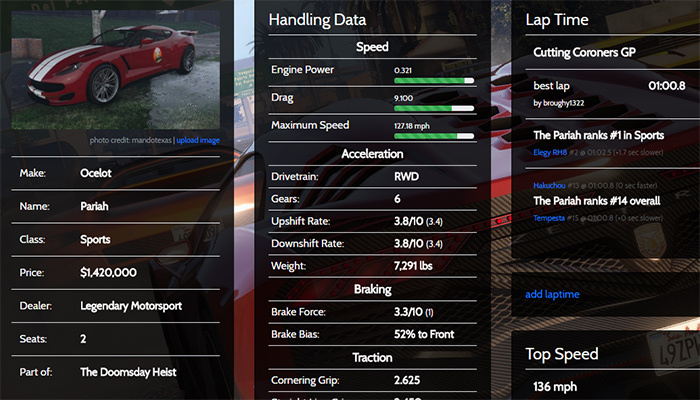 View and compare detailed vehicle information for all land vehicles in GTA Online, including the Arena War DLC. All the info on the new land vehicles included in the Arena War DLC! 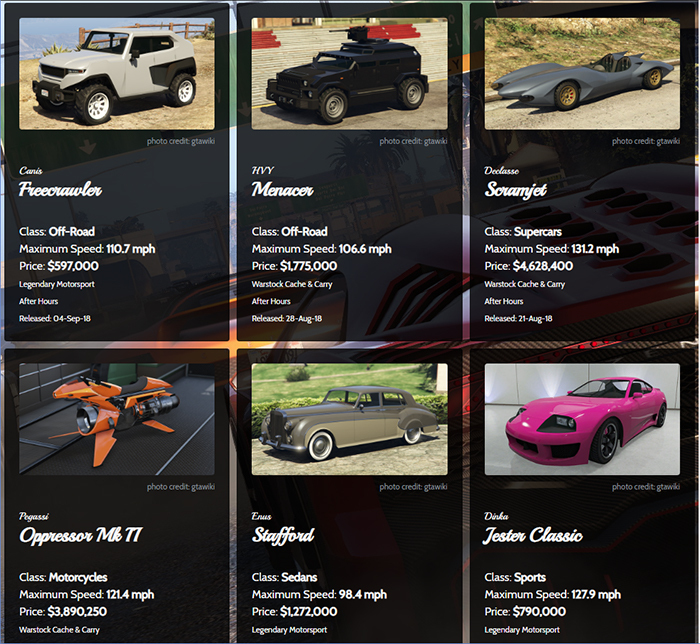 All the info on the new land vehicles included in the After Hours DLC! 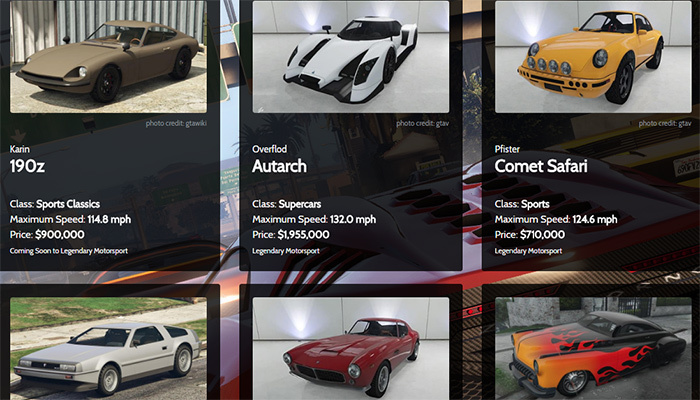 All the specs on the land vehicles included in San Andreas Super Sports Series DLC! 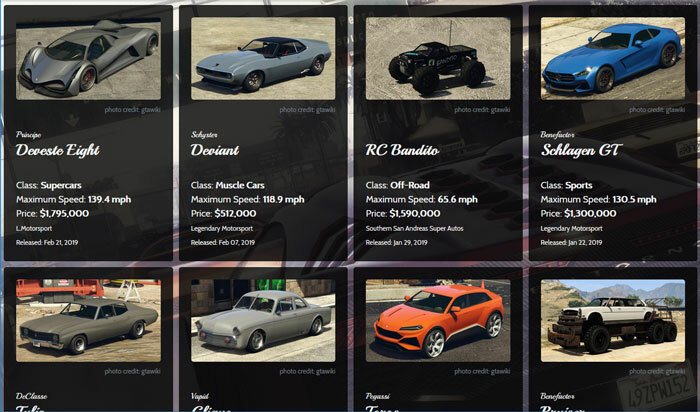 All the info on the land vehicles included in The Doomsday Heist DLC! 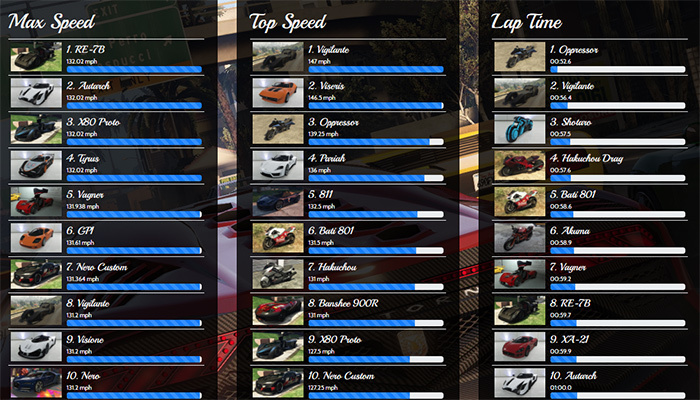 A list of the 20 fastest land vehicles in Grand Theft Auto Online from three categories: Max Speed (the speed at redline in top gear), Top Speed (as tested), and Lap Time by broughy1322 on the Cutting Coroners GP track. 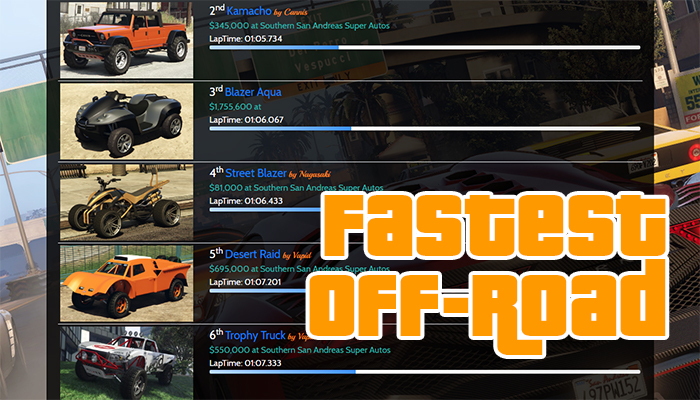 The Off-Road class has finally been added to the fastest vehicles ranking!